Who’s ready for a contest?!?! In honor of my Facebook page hitting 100 likes it’s time to celebrate with a contest! I’m giving away these über cute cupcake measuring spoons! 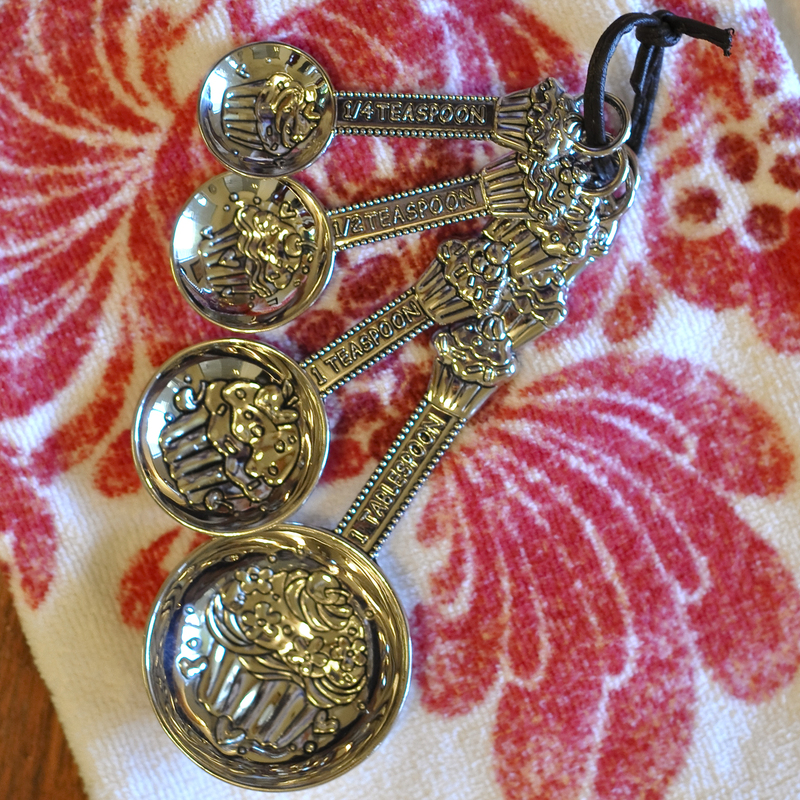 Every cook needs to have a nice set of measuring spoons, and with you these you will be cooking in style! Cook one of my recipes, take a picture, and post it to the Diva di Cucina Facebook page. This is not a photo contest so don’t worry about quality! Be sure to identify what recipe it is that you cooked. OR If you don’t want to deal with uploading a pic you can comment on 5 recipes that I have shared here on my blog. That gives you two possible ways to win! If you do both of these options then you will be entered into the drawing twice! Why not go ahead and double your chances? Once you do both of these steps your name will be entered into a drawing and one winner will be selected to win this fabulous prize valued at $20! The only rules are that you must complete both of the above steps by Sunday, September 30 at midnight (that gives you 2 full weeks!) and you have to be a current resident of the United States. A winner will be announced on Monday, October 1. I will contact the winner directly to get your mailing address to send you your prize. Can’t wait to hear your comments and see your pics! Best of luck to all of you! I recently added Pinterest buttons to my blog and in honor of this I am having a contest! Two lucky winners will each receive a fabulous gift! 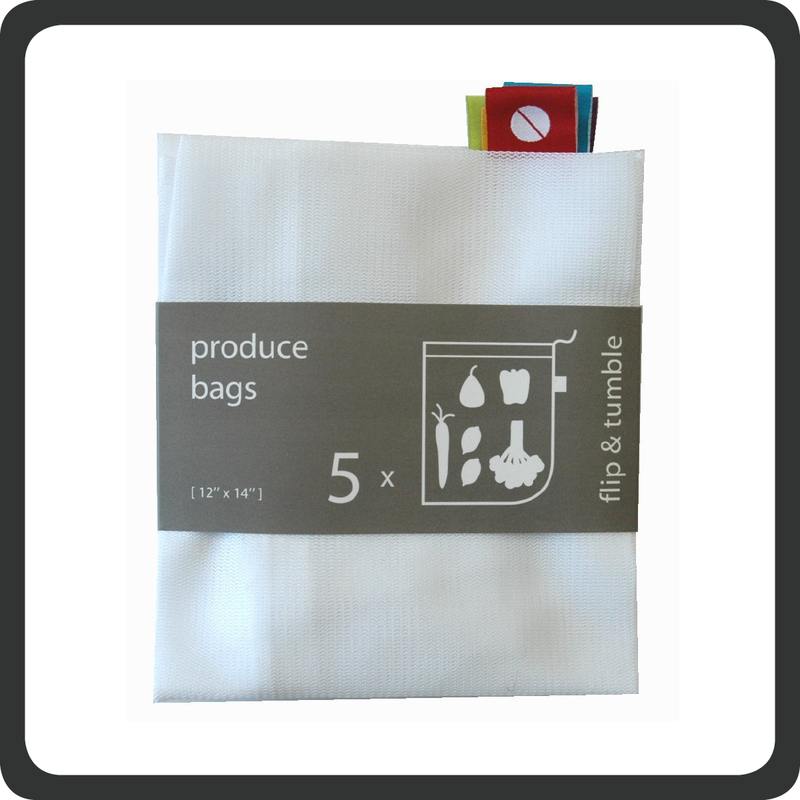 I am giving away two sets of Flip and Tumble reusable produce bags. These things are absolutely wonderful! I use mine every trip to the grocery store as well as at the farmer’s market and I get tons of compliments. They are an ultra lightweight mesh material. I love that you can wash your produce directly in the bag itself. Also, I find that some fruits and veggies seem to last longer since the bags can breathe and your produce doesn’t get that nasty slime that some items get when in plastic bags in the fridge for days at a time. 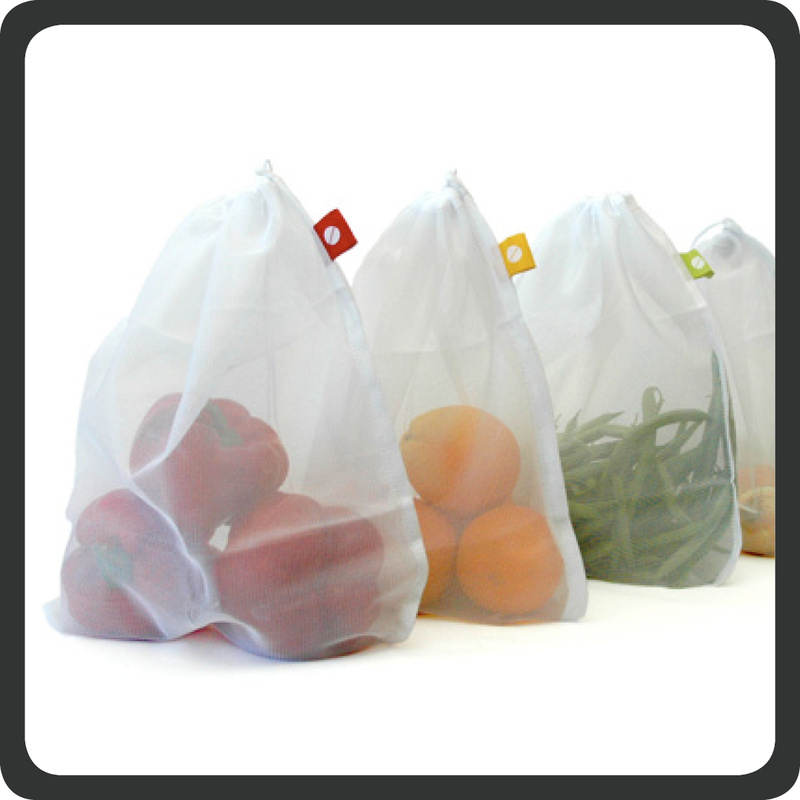 By using these bags instead of plastic produce bags you be helping the environment. When they need a wash just throw them in the laundry. You will love them! Pin any 8 recipes (or more) from my blog to your Pinterest board. To pin a recipe you need to go directly to the recipe and click on the Pinterest button at the bottom. Unfortunately Pinterest buttons don’t appear on the main feed. To get to the individual recipes, you can either click on the title (e.g. Recipe—Divine Chocolate Cups) from the main feed OR click on any post listed under Recent Posts on the right hand side. Comment here with a link to your board that the recipes were pinned to. OR if you would like you can email me the link. Send emails to divadicucina@yahoo.com Just copy and paste directly from your browser bar. Everyone that does the above steps will be entered into a drawing. Two names will be drawn. I will contact the winners to get their mailing addresses and send them their prize. The contest will be open for one week from today. All entries must be received by May 2. Only those living in the United States are eligible to win. Be sure to check back here next week in case you were the winner and I was unable to contact you. Note: This contest is not affiliated with Flip and Tumble or Pinterest. I just love their products and want to share.